It’s been a while since we’ve dropped some new noise, but now you can head over to the Awareness Factory and download the newest Blk/Mas album Blueprint For An Existential Crisis. Check it out, stream it or download, pay what you want or snag it for free. I’d like to take the time to remind you of the two newest releases that are still available over at The Awareness Factory. 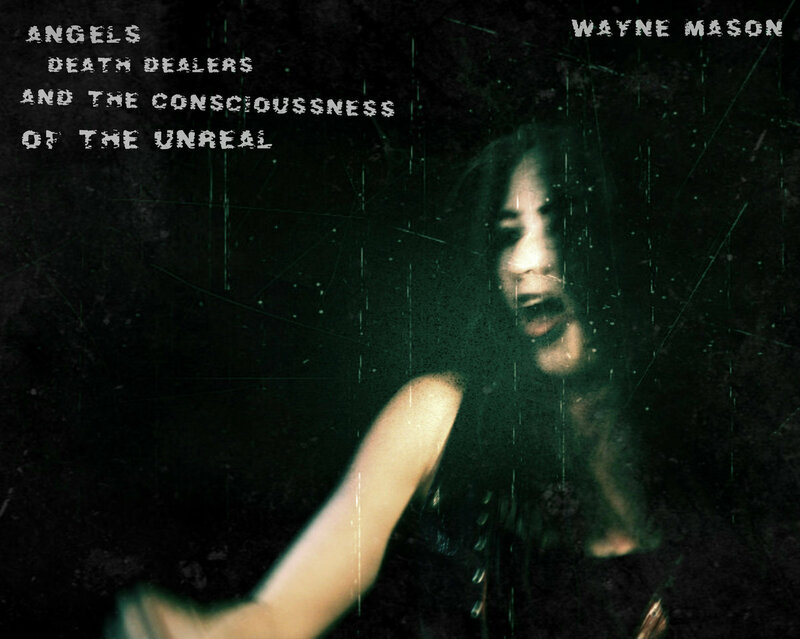 The first is my newest release Angels, Death Dealers, And The Consciousness Of The Unreal. 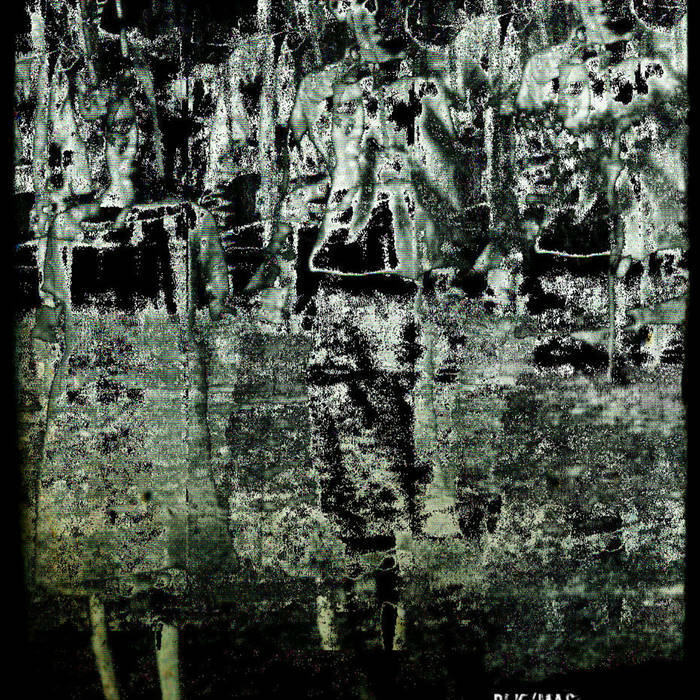 It’s a collage of mellower noise and cut up, with subtle nods to William S Burroughs and Brion Gysin. The second is the newest release from Blk/Mas, the collaborative project from myself and Shawn Blackburn. This one is a haywire thrill ride of analog and modular madness, a dystopian roller coaster for the singularity. I hope you’ll check them out. You can download by the track for a buck a piece, or download the entire albums for five dollars each. We pulled into the industrial complex around dark, parked, and I cracked open a beer in what is the usual pre-show ritual. A small crowd was starting to build and there were already a few familiar faces of folks just as strange as us, people gathered here at the Venture Compound to do strange things in the name of art. The Venture Compound is St Petersburg’s best-kept secret, and easily the most important destination in the Tampa Bay area for avant-garde youth, weirdos, and outsider artists of all disciplines. While nestled inside the warehouse arts district, the graffiti covered façade is hard to miss… standing out like a beacon to purveyors of all things odd. This night was a special; it was the kick off of the ninth annual St Pete Noise Fest, a two-night celebration of noise/experimental music. Once again, our band Blk/Mas was lucky enough to be a part of the festival. Due to my job’s constraint on my schedule we don’t play shows anywhere near as much as we used to… in fact, I had to hold on to my very last vacation day just to insure that I would make this, my favorite show of the year… the first night, anyway. Three beers later, it was already time for us to play. My buddy Shawn took his place behind his modular system, while assumed position behind a theremin and a turntable. It’s comical that no matter how many times I do this I am utterly nervous beforehand. However, once we start our set I lose my self-consciousness, and what we do becomes the aural equivalent of spontaneous prose. Fifteen minutes and it was done, another one in the books. I got to see many bands I hadn’t had the pleasure of watching before, and I don’t think our set was half-bad either. It’s odd. We have been doing this since we were teenagers, I don’t think I ever really imagined ourselves in our forties taking on the role of reluctant elder statesmen of the noise scene amongst some people half our age. It’s fine… and I imagine myself still doing it another twenty years from now provided the scene will have me. Of course, I use the term “elder statesmen” because it sounds cool… dignified even. The truth is we are probably more accurately described as a couple old weird middle-aged guys. However, here at this place, a haven for the adventurous and the outcast, it is okay. Perhaps we signify hope in the fact that you don’t ever have to grow up. I’m overthinking it though, we are two shy wallflowers likely not noticed by anyone until we take the stage. That’s fine though, it is not about us… it never was, it was always about the sound. We left several acts later in the night as festivities still rolled on. As always we found ourselves reinvigorated and inspired by the St Pete Noise Fest. However, hunger and real life was calling. It would be back to the factory soon, but I would be returning to work feeling much lighter on my feet… the result of another catharsis of glorious noise. I’m pleased to announce that I have four poems up in one of the best blog/zines around for challenging literature, Otoliths. It is another issue packed with exceptional writing, if you’ve never checked out Otoliths you are missing out. The electronic/noise/experimental project of Shawn Blackburn and myself, Blk/Mas has finally returned with a new album download. X + Quantity Of Me may be our best effort yet, and I hope you’ll check it out, along with all the other stuff we have to offer over at The Awareness Factory. This November, the annual St Pete Noise Fest takes over The Venture Compound in St Pete, Fl. Now in its eighth year, this showcase of noise and experimental sound will feature a mind numbing 40 acts over the course of two days. Throughout the festival, St Pete will be assaulted with 10 hours of noise ranging from ambient drone to HNW and everything in between. Blk/Mas will be performing on a day one of the festival, and I could not be more excited to once more a part of my favorite show of the year. I hope you locals will come check it out, support Blk/Mas and support noise/experimental music. Most importantly though support The Venture Compound, possibly the most important institution in central Florida for those of us into all things weird. St Pete Noise fest runs November 6 and 7th starting 7pm each day (Blk/Mas is tentatively scheduled for 9:20pm). Did I mention it is free? More info, including complete line-up can be found here. It’s been about six months since my last post. What excuse shall I use? There are so many. Sidetracked by a day job, distracted with other projects, crippled by self doubt, all of these have been applicable at some point. With that said, I am back feeling like myself again. I am working on a new experimental text, but in the meantime I will be sending out some new shorter writing to various literary journals or perhaps posting some here. I feel some of this is the best stuff I’ve written in a long time. Also, I am exploring the possibility of a return to live spoken word. In short, I’m excited about writing again. More imminent on the horizon is a renewed focus on sound as well. There have been a few Blk/Mas shows in the last few months and SPNF8 is coming up quickly. Also expect some new Blk/Mas recordings too. Classwar Karaoke 0027 is online now and ready for your consumption. My track He Who Has Found His Place (Amid Nothing) is included alongside many talented experimental artists. My track is possibly a little more quiet and moodier than expected, but it represents an exciting and different direction. As always, I’m proud to be included in this excellent series. Author waynePosted on August 31, 2014 Categories noiseTags audio, Avant Garde, Blk/Mas, Classwar Karaoke, electronic, Experimental, futurist, Improv, Industrial, mp3, noise, Stickfigure, wayne mason, zilbreadLeave a comment on A little more Classwar…..